It's been another year in the NFL with a wide variety of story lines, and surprises. Let's take review another great year of NFL football. 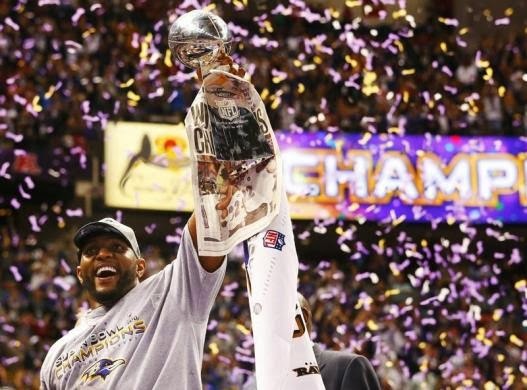 SuperBowl: The Baltimore Ravens won the SuperBowl following an incredible game. This year saw defending NFL Champions, the New York Giants knocked out in the regular season as the Redskins made the playoff. From then on, new Champions were to be crowned and the Baltimore Ravens, won their second Franchise Super Bowl. A victory over Indianapolis in the Wild card round sent them to Denver, where they got a great win, and also defeated the New England Patriots in the AFC Championship game, which sent them to the Superbowl to face the San Francisco 49ers, and the explosive Colin Kaepernick. It was momorable Super bowl, that included a black out at New Orlean's Super dome, and overall a great match of football. Joe Flacco took home the Super Bowl MVP title, with a great performance. Finally, it was a historic final match for future NFL Hall of famer, Ravens legend, Ray Lewis. The line-backer was ending a great career at the NFL, and he went out on top. It truly was a year of great matches in the NFL. Who can forget the regular season week 14, in which the Ravens won the Vikings 29-26, after the lead changed a record 6 times after 6 TDs in the 4th quarter, and the Broncos 51-28 win over the Titans where Matt Prater made a 64 yard field goal, and many more great matches with Patriots, Lions, and Dolphins victories. Who can also forget the historic Patriots come back from 24 points down to the Broncos, to win the game 34-31. Tom Brady defeated Peyton Manning yet again, this time with Brady's former favorite weapon Wes Welker on Manning's side. The Seattle Seahawks also put on many great matches in the playoffs earlier in the year, and great matches at their stadium this season. This category is certainly filled this year. From the disappointing New York Giants, to the statement "RG3 and out", to Cowboys late failures, to Foles the man, the NFC east was certainly the most talked about division of the year. The Cowboy yet again faced a late "win or go home" situation, and the Philadelphia Eagles sent them home for the year. On Philly's side, the season began with a summer starting QB competition featuring Michael Vick and Nick Foles. 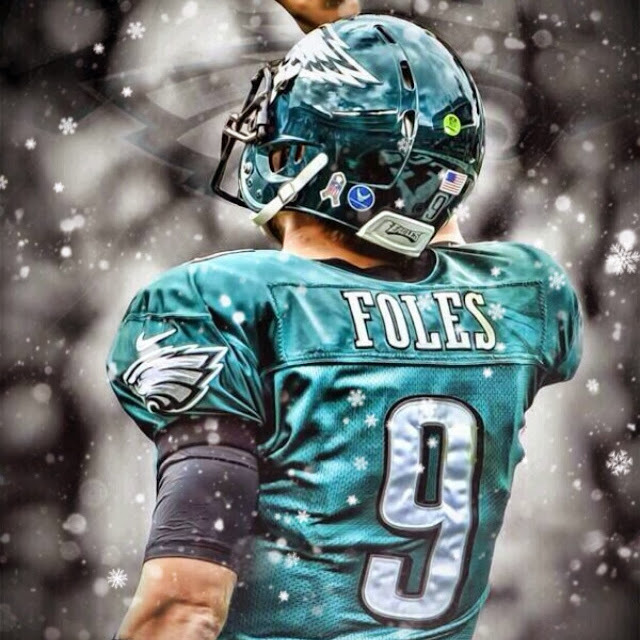 Vick won the battle as Kelly favored his speed for his fast paced offense, but after his injury in the season, Nick Foles took over for the Eagles, and the rest was history. He took charge the offense, and got them to the playoffs, and on the way kept the best TD-Interception ratio in NFL history.Nick Foles shined this season. Even Vick's return meant nothing to his spotlight as Nick Foles earnt his spot as stating QB. In one game, he even tied Peyton Manning's NFL record for 7 TDs in one game. The greatness of Shady McCoy, and Desean Jackson greatly led the Eagles to the playoffs. The Giants were disappointing, thats an understatement, and the Redskins fired coah Shanahan after a horrible season as well, especially for his QB RGIII, who last year was highly rated in the NFL. RGIII's injury problems, and the nightmare offensive line, led to the phrase "RG3 and out." RGIII witnessed the phrase as a reality, as he was benched. It was a rapis change of brightness to darkness in Washington. Other NFL stories include the most improved Kansas City chiefs. With they help of former Eagles coach Andy Reid, and former 49ers QB Alex Smith, the Chiefs put on a great season with "rejects." Their defense was solid, and who can forget their running game with Jamaal Charles? Charles bossed the season with an arguably MVP worthy season, with huge numbers. He was a treat for fantasy owners like myself and others who had him on their team. The Chiefs finished 11-5 and into the playoffs Wild Card round after a 2-14 finish last season. They truly where the most improved NFL team. The San Diego Chargers and Philip Rivers also had a great year, and he Bucs, a year to forget. To wrap it up, the best player of 2013 was Peyton Manning. His greatness, combined with the greatness of players and wide-recievers around him led Manning to be the best player of of the year. He broke the records of both NFL greats Tom Brady's record for the most TDs a regular season year, now set at 55, and Drew Bress' record for yards a season, now at 5477. It will unfortunately be overlooked because of the team he's in, but he deserved the credit, for such an amazing year. 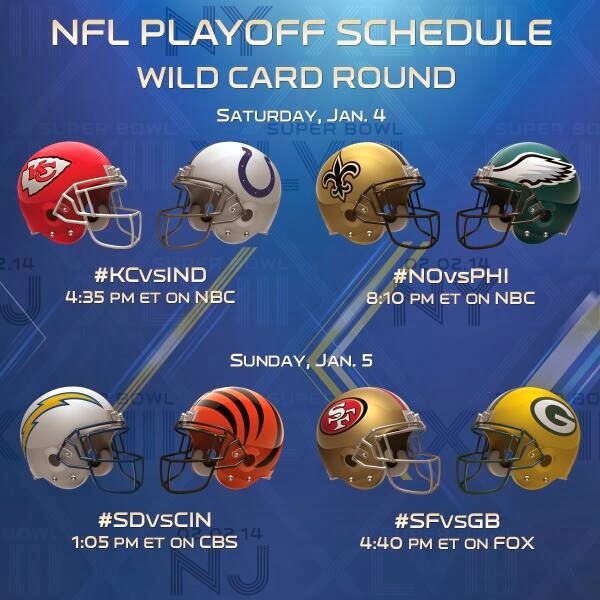 We now head into 2014 with the NFL playoff picture. 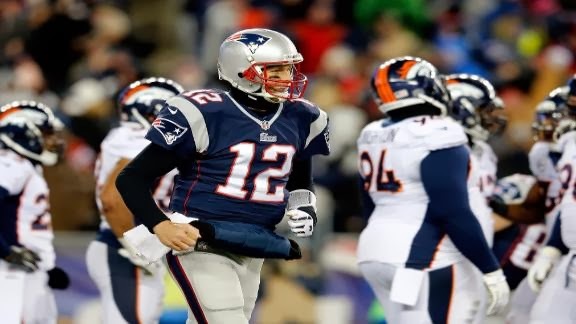 In the AFC, Peyton Manning & the Denver Broncos finished 13-3, and Tom Brady's Patriots 12-4. They both have playoff byes on the first week. For the wild card round, the Kansas City Chiefs will face the Indianapolis Colts, and the other match up will be the San Diego Chargers taking on the Cincinnati Bengals. For the NFC, the Seattle Seahawks finished at 13-3, and the Panthers at 12-4 also get rest with the playoff bye. The New Orleans Saints and Philadelphia Eagles battle it out at the wild card stages along with the San Francisco 49ers and Green bay Packers. NFL Playoff Picture. For UK fans, watch the playoffs on Sky Sports, Eurosport and Channel 4. It was certainly an interesting year in the National Football League, and we await what treats 2014 holds for us! Full review of 2013 in the NFL, a retrospective look back at an incredible year in the National Football League.